If you’re feeling stressed out, anxious, or have trouble sleeping, you’ve come to the right place. If you’re experiencing chronic pain, you’ve made the right decision to learn more about TRE. And, if you find that you need to spend a lot of time alone in order to recharge your batteries, TRE can help. Stressful and traumatic situations are a part of life. They can take us on a roller coaster ride through grief and anger, and yet these experiences can also make us more compassionate, empathetic and resilient. We can also learn more about who we really are and access a level of wisdom about our own gifts and talents so we may share them with the communities we live in. Unfortunately, we don’t exactly live within a cultural container that often provides a safe space for us to process these experiences and the contractive patterns and emotions that come with them. As a result, we can tend to keep the painful emotions and memories surpressed through a variety of distractions (which all take a lot of energy!). 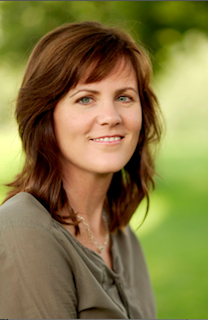 In Dr. David Bercelli’s book, The Revolutionary Trauma Release Process, he says, “In our avoidance, denial, and fear, we push away the very experiences that seek to stimulate the evolution of our consciousness and we deny ourselves the opportunity to become the person we yearn to be and are ultimately destined to become” (p.6). Resistance to the call to personal development and transformation can have negative affects on our health and well-being. Think about the last time you tried not to cry, or get angry, or be afraid, or it didn’t feel safe to express those emotions. How did your body respond? How much energy did that take to hold it all in? This suppression of energy creates tension in the body and over time can lead to chronic pain. So, how can we acknowledge the resistance and feel safe enough to release deep areas of muscle tension, and perhaps heed the call to our own personal development and transformation? Developed by Dr. David Bercelli, Ph.D, over a million people worldwide have been taught the six simple exercises designed to activate our body’s natural reflex mechanism of shaking/vibrating, thereby releasing deep areas of muscle tension, calming the nervous system, and restoring wellness. 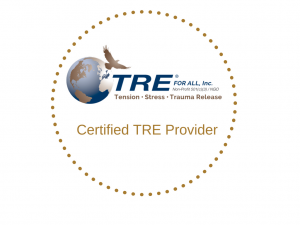 TRE offers a self-administered and self-regulated practice that allows us to enhance our body awareness, thereby increasing the level of trust we have in ourselves to respond to change and stressful situations with more ease – and ultimately build more resilience. Important: TRE is not intended for those who are pregnant, or if you’ve had abdominal/back surgery in the last three months.